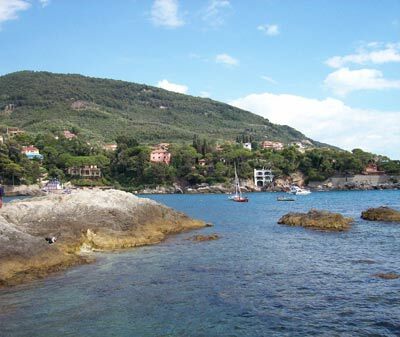 Situated between Lerici and Tellaro, Fiascherino surrounds an enchantingly rugged bay. Between 1913 and 1914, the town hosted the English writer David Herbert Lawrence, and his partner Frida. Fiascherino is particularly renowned for its lush natural surroundings, with its flowered walkways and many different species of plant. A steep flight of nearly 200 steps leads down to a gorgeous beach.